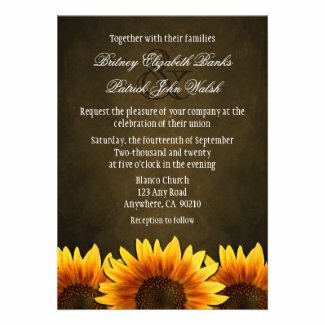 Take a look at this unique collection of beautiful sunflower wedding invitations. There are many different designs for both formal and casual weddings. 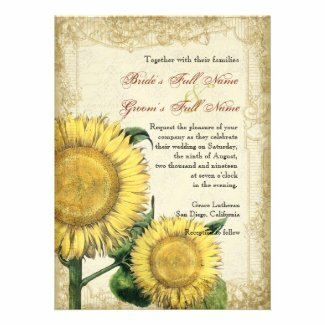 For a beautiful selection of custom wedding stamps take a look at Sunflower Themed LOVE Postage Stamps.